This pendant will update your home with its eye-catching design. Featuring a bronze gold finish and matte opal shade(s), this fixture will accommodate a variety of dicor styles. With its easy installation and low upkeep requirements, this pendant will not disappoint. Transitional pendant light with wide glass bowl adds flair over dining areas and entry. Includes 6 feet of chain for height adjustments. Fixture attaches to matching decorative ceiling plate and is suitable for vaulted ceilings. 8-Light Bronze Gold Pendant with Matte Opal Glass - 21 inch This pendant will update your home with its eye-catching design. 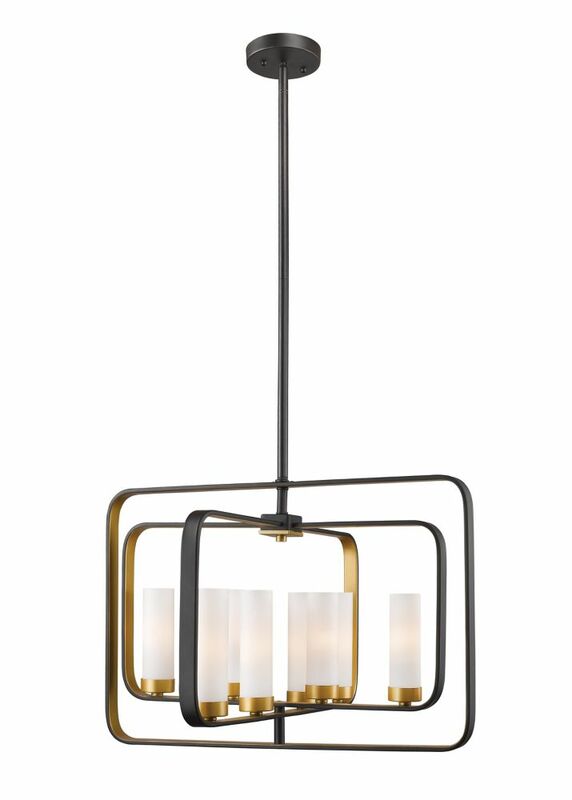 Featuring a bronze gold finish and matte opal shade(s), this fixture will accommodate a variety of dicor styles. With its easy installation and low upkeep requirements, this pendant will not disappoint.